Today we welcome back Dorie Clark, the bestselling author of Reinventing You and Stand Out. 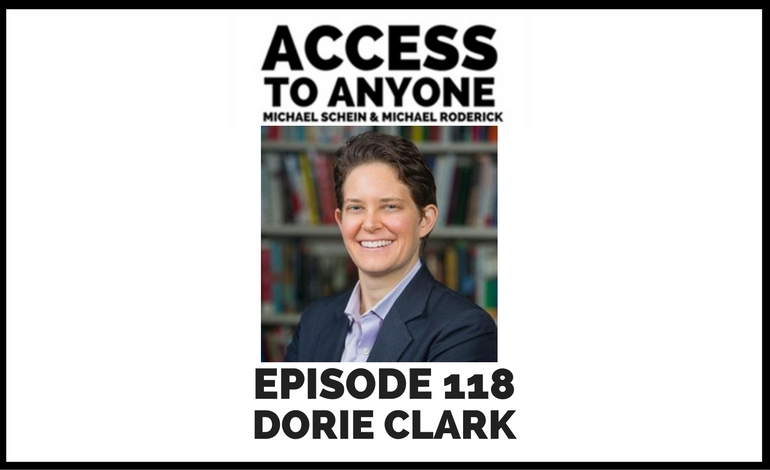 Dorie Clark is an Adjunct Professor at Duke University’s Fuqua School of Business and author of Entrepreneurial You, Reinventing You, and Stand Out, which was named the number one leadership book of 2015 by Inc. Magazine. A former presidential campaign spokeswoman, the New York Times described her as “An expert in self-reinvention and helping others make changes in their lives.” A frequent contributor to the Harvard Business Review, Dorie consults and speaks for clients including Google, Microsoft, and The World Bank. At age 14, Clark entered Mary Baldwin College’s Program for the Exceptionally Gifted. At 18, she graduated Phi Beta Kappa from Smith College, and two years later received a Master of Theological Studies from Harvard Divinity School. As a former New England Press Association award-winning journalist, Clark directed the environmental documentary film  The Work of 1000  and was a producer for a multiple-Grammy-winning jazz album.